As we know, we can define and use our own IVR-XML file to trigger IVR service in local miniSIPServer. Now we migrate this feature into cloud-mss, that means we can do that in cloud communication in the same way. In local-MSS, we can save IVR-XML file into local directory. In cloud-mss, something is different. For safety protection, we require customers to send IVR-XML files to our support team (support(a)myvoipapp.com), our guys will upload your own IVR-XML file to your virtual server. Then, once you sign into cloud-mss, please click menu ‘Resource / IVR-XML files’ to take a look. If your own IVR-XML file has been uploaded into your virtual server, you can configure how to trigger IVR service. 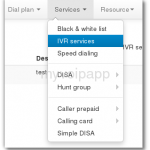 In MSS, we can trigger IVR services according to called numbers of calls. 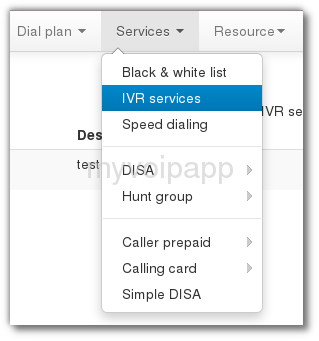 It is very easy to configure that, please click menu ‘Services / IVR services’ to take a look.